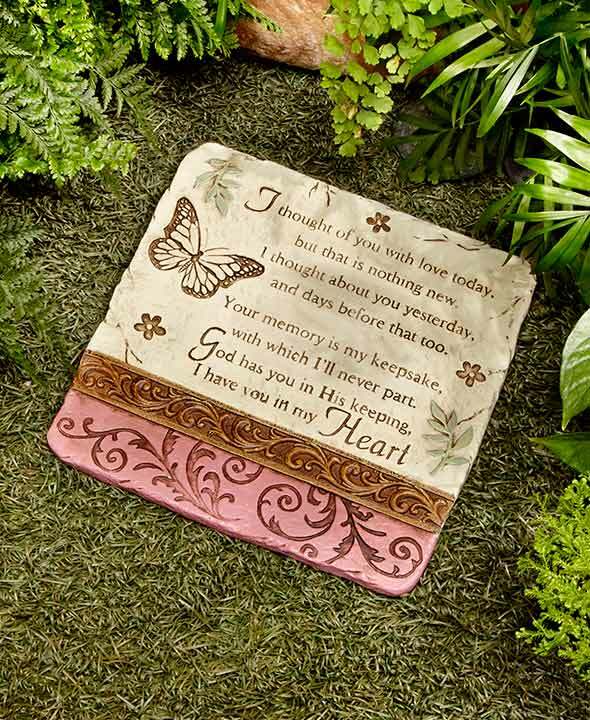 Memorial Garden Stone - "I thought of you today..."
Create a garden memorial to a departed loved one with this I Thought of You... Stone. It features a heartwarming sentiment with leaves, flowers, a butterfly and a scrollwork design. The stone can be set on the ground or has a keyhole hanger on the back to hang on a wall or fence. 10"W x 10-3/8"L. Cement. Ready to hang.